Logan Airport is one of the busiest airports in the U.S., accommodating more than 27 million air travelers annually. C&J’s bus routes for Logan include drop-off and pick-up service at departure and arrival points for each of Logan’s airlines. Want to learn more about where to catch the bus at Logan Airport? View our pick-up locations. C&J offers an easy choice for your trip to New Hampshire’s Seacoast and southern Maine from Logan. And an early morning departure from Logan Airport is available, so relax earlier and start your day with us for timely, convenient, and hassle-free travel! Your trip starts with C&J! 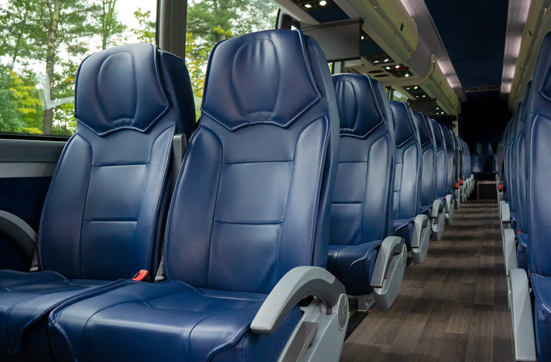 Free Wi-Fi, coffee and parking make C&J’s bus service a welcome alternative to driving to Logan Airport. All C&J coaches pick up downstairs, outside of baggage claim near the orange “schedule buses” sign, C&J is listed on the sign. Logan Terminal A: Outside door A105, to the right of the terminal. Logan Terminal B1: Outside door B101. Logan Terminal B2: Outside door B115. Logan Terminal C: Ourside door C110 to the left of the railing. Logan Terminal E: Outside door E107, to the right of the terminal. Look for C&J buses near the orange “schedule buses” sign. 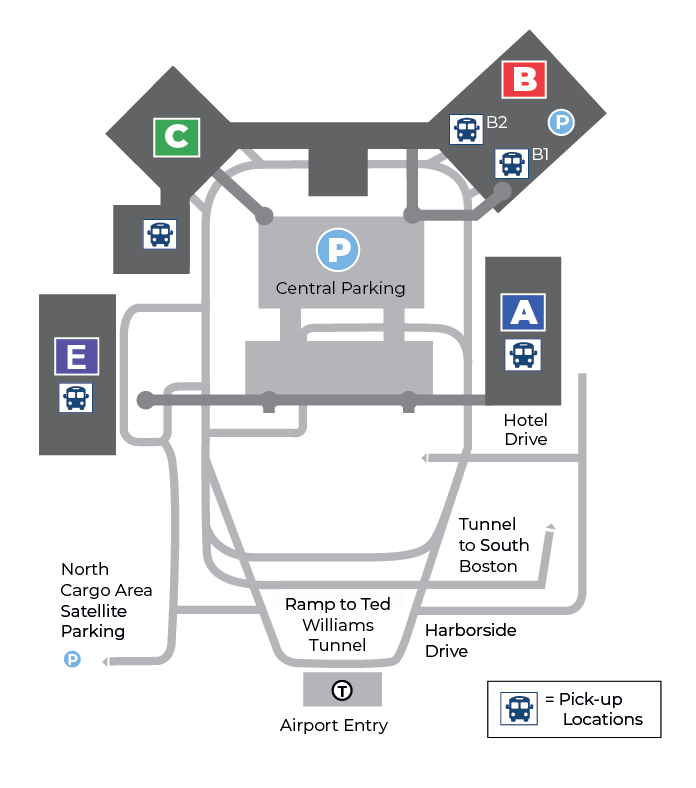 C&J begins picking up outside the lower level (baggage claim) at Terminal A at the scheduled departure time, then continues onto terminals B1, B2, C, and E before exiting the airport. For a faster, easier experience, tickets can be purchased online via desktop and mobile. Reservations are neither necessary nor accepted. C&J does not have a ticket counter or agent at Logan Airport. If boarding at Logan Airport without a printed ticket, the driver will request to hold your photo identification for the duration of the ride in lieu of a ticket. Upon reaching your destination, the driver will provide an employee at the agency with your identification, who will return it to you upon purchase of a ticket for the travel incurred. C&J agents are available 24 hours a day at each location to assist you. 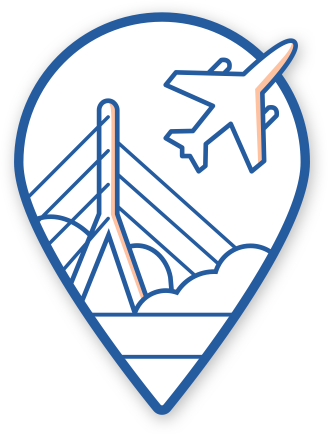 Click here to visit the official website for Logan Airport.